What is O’de Flander geneva? 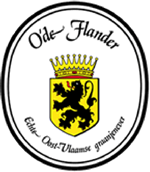 An O’de Flander geneva is made in the province of East Flanders, has to have a minimum alcohol percentage of 35° and is made with grain alcohol. O’de Flander is geographicaly protected by the European Union. Braeckman Jenevers – Braeckman Oude graanjenever (38%), Etn. P. Bruggeman – Platinum Peterman (40%), Likeurstokerij De Moor – Dirk Martens Jenever (35%), Distillery De Stoop | Wijnhuis Bollaert – Merelbeekse belegen graanjenever De Stoop (38%), Filliers graanstokerij – Filliers graanjenever (35% classic, 38% en 5 jaar oud, 50% en 8 jaar oud), Jenever Mertens – Jenever Mertens (40%), Nectaria – Jenever Bobke (38%), Stokerij Rubbens – Originele Oost-Vlaamse graanjenever Rubbens (38%), Jenever Thyssen – Graanjenever Thyssen (40%), Stokerij Van Damme, Balegemse graanjenever Vieux Système (41%). In four lessons you learn everything there is to know about the East Flemish geneva. Course items are: the history and production process of geneva, tasting techniques and cocktails made with geneva. There is one course a year. The new course starts in march of 2019. You can subscribe via mail to Chantal Gheysen. Do you want to taste or buy O’de Flander? 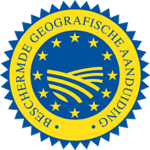 All O’de Flander genevas can be tasted or bought in Butchers’ Hall, the promotion centre for East Flemish regional products (Groentenmarkt 7 in Ghent). You can also taste the different brands at the many O’de Flander ambassadors.